I've heard the joke -- what's the difference between a large pizza and a history degree? One can feed a family of four. For the purposes of the pun, history can be replaced with any liberal arts major; however, history often gets an especially bad reputation for being particularly unemployable and well, pointless. Like many other young people, I have recently finished navigating the minefield that is college applications, and decided on which university I will be attending in the fall. For me, this process was particularly fraught with anxiety, as I have decided to go to school overseas. Choosing to move abroad to study puts me in the unenviable position of having to pay international tuition fees, which will inevitably leave me in a swamp of student debt. The kicker? I'm pursuing a BA in international history, a focus which my family doesn't neglect to remind me is not "career focused." In an interview with Business News Network, entrepreneur and former CBC "Dragon's Den" cast member Kevin O'Leary spoke out against going into student debt to get an education in the humanities, telling students to "stop going for a liberal arts degree, because it's useless." 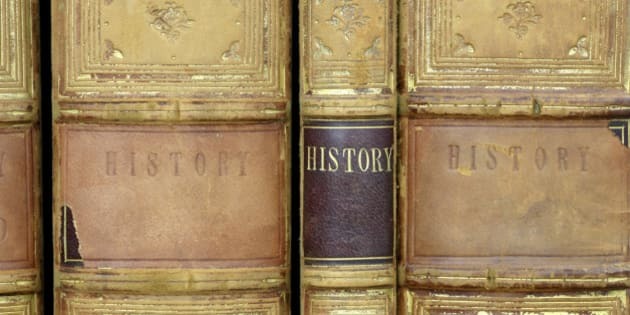 He argued that history could be studied "as a hobby" but that it's impossible to get employed saying "you come out with a history degree, you're going to zero." My choice to go into student debt to study history is not one I took lightly. I worried about my degree's lack of a direct career path; however my belief in the importance and continued relevance of history outweighed my doubts. You may have heard the saying that "those who do not learn history are doomed to repeat it." Cliché as it might be, I believe there is a lot of truth to that statement. History gives us a window into humanity which leads to making better informed decisions for our current society as to how we want to conduct and organize ourselves. Two current United States Supreme Court justices studied history, as well as recent CEOs at IBM, Sony, and Hewlett-Packard. Such examples show the study of history can be translated to success in a variety of related fields, and also give me hope that I may one day be able to repay my student loans. Having been confederated less than 150 years ago, Canada has no abundance of recorded history. As a result, it strikes me that the study of history is not viewed with the same reverence in this country as it is in many other places -- which I believe is a mistake. We need people with a history background in government to analyze cause and effects, and to advise on foreign policy. We also need historians in media to intelligently put current affairs in context. I could go on and on but the heart of my argument is that history is more than just a class you had to sit through in high school. By nature, history is the study of the past; however, conversely it helps inform us in building a better future. I hope to be part of that future, even if I am poorer in the short term.